Grace Nichols' first collection of poetry for children, Come on into my Tropical Garden, was published in 1988. Give Yourself a Hug followed in 1994. 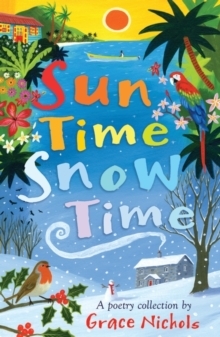 Sun Time Snow Time combines these two collections in a single-volume edition. The Caribbean rhythms and culture that come through Grace Nichols' writing blend with the experience of moving to Britain to make this a truly multicultural collection from one of our foremost poets.